Attractive 3-bedroom, 2 bath Cape Cod-style home located on a quiet cul-de-sac street in a great neighborhood close to Kirkwood restaurants, shops and schools. This 1.5-story home features a main floor bedroom with full bath, beautifully updated light-filled kitchen that opens to formal dining room and cozy family room with fireplace and built-ins. Two spacious bedrooms with his & her closets plus a full bath complete the second floor. Partially finished lower level with bar. Attached one-car garage that leads to large mud room/laundry room. Well-maintained exterior with newer driveway, sidewalk and patio that walks out to private, fenced-in backyard. 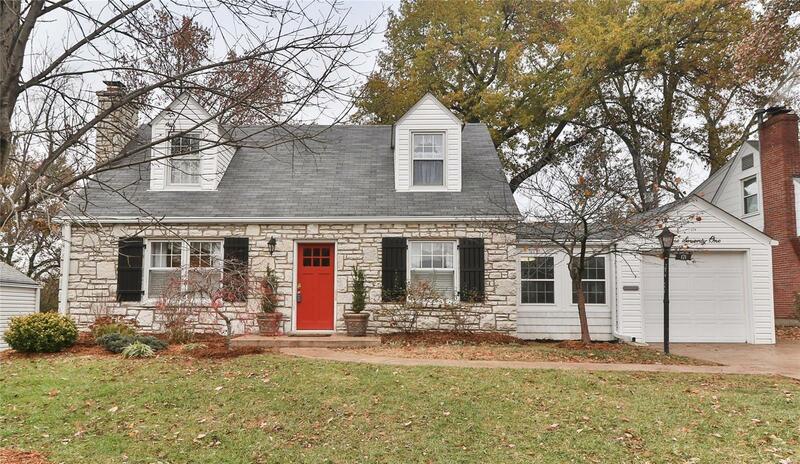 Donât miss out on this Kirkwood charmer!